Service Time Change for Sunday Night + Testimony Kids on Mission! 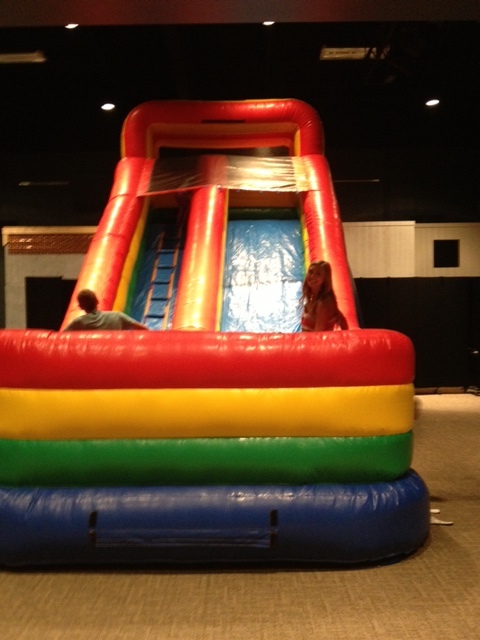 Kids On Mission Six-Week Series Kicks Off THIS WEEKEND + Service Time Change Sunday Night! Thank you for another GREAT weekend! We had 12 NEW families come through our doors and 376 children in our Early Childhood classrooms last weekend (1,058 total throughout Parkview Kids). WOW!!!! We cannot do this without YOU, thank you for being a part of what God is doing at Parkview! 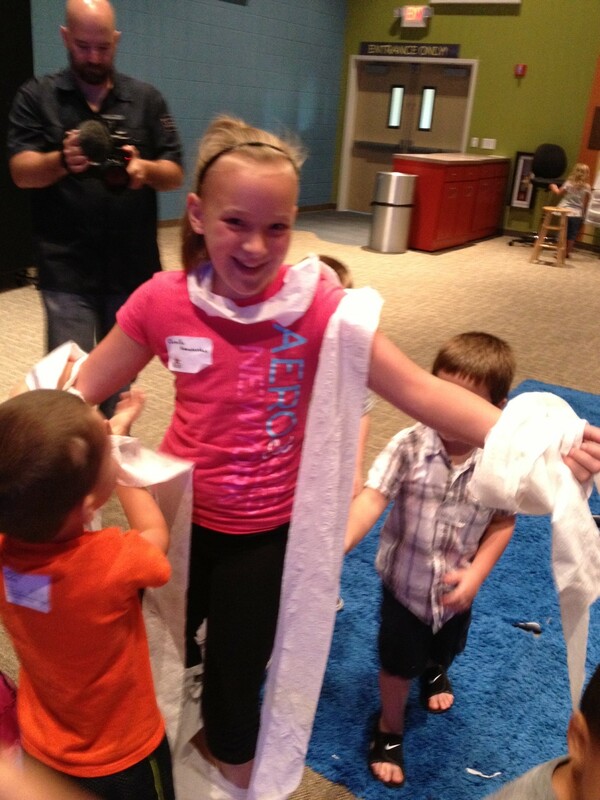 We are SUPER EXCITED to kick off “Kids on Mission” this weekend to go along with our “Life on Mission” series. 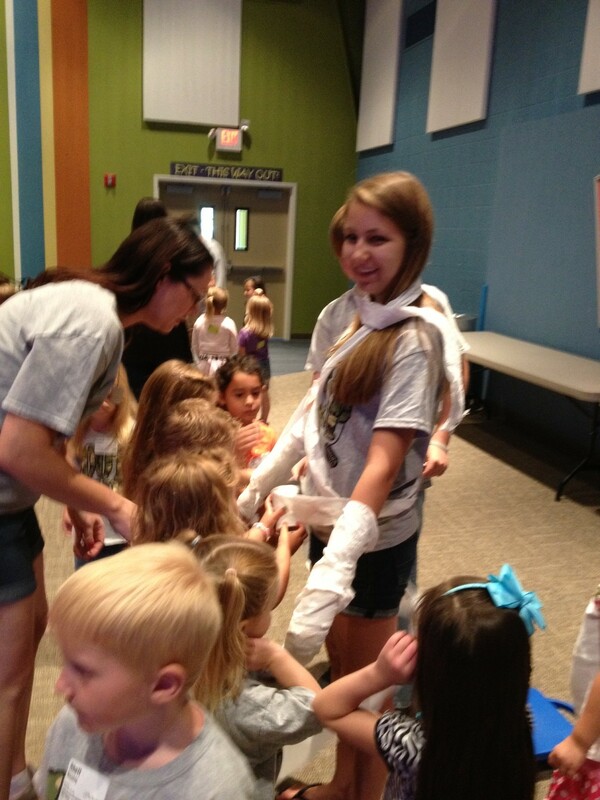 Over the next six weeks, our kids will be going on a mission, a superhero mission. But this mission isn’t from us…this mission comes straight from GOD and we get to be a part of it. Get ready for TONS OF FUN! 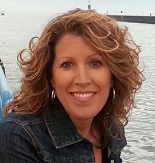 You can review all the fun-filled activities Lisa Dorman put together by clicking here . PLEASE MAKE NOTE, There is a service time change for THIS WEEKEND’S Sunday night service (Sept. 28). Sunday night’s service will start at 5:30pm instead of 5:45pm — to accommodate more time for service prior to the Tim Hawkins event. We will open for our Parkview families at 5:10 pm. That means our Sunday night huddle will start at 5:00 pm, please mark your calendar if you volunteer or attend the Sunday night service. Thanks! YOU are making a difference! Check out this testimony that just came in this week. Thanks for sharing Adrienne! Please be in prayer for all the families that will be coming through our doors this fall and THANK YOU for all that you do and who you are. It’s an honor to serve with you. This inspired me today! What inspires you? 1. 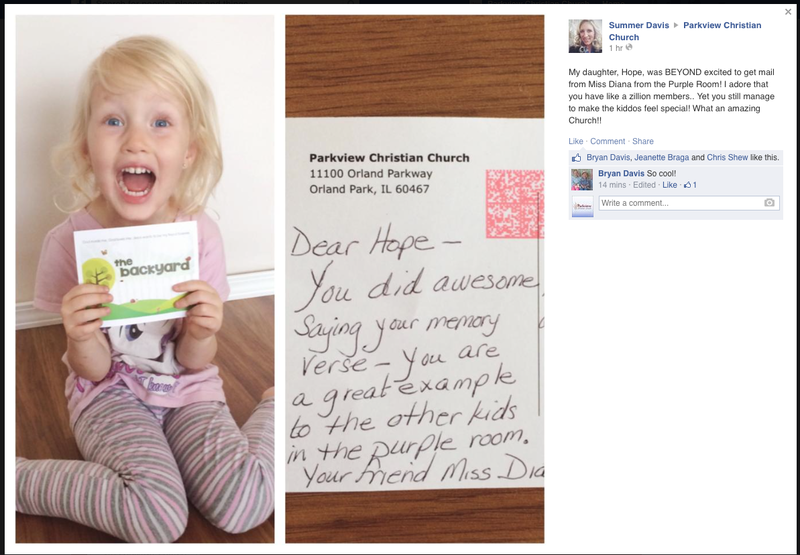 Did you see this facebook post on Parkview Christian Church’s Facebook page yesterday? What YOU do matters and the visitor postcards are working! Thank you Diana Harmon for writing such a thoughtful and sweet note to Hope. As you can see, she was THRILLED to receive your postcard in the mail. How cool is it that her mom also took the time to take this picture and post on Facebook. This will reach out to not only their family and friends but also make others aware of the awesome work you do in our Children’s Ministry. Praise God! 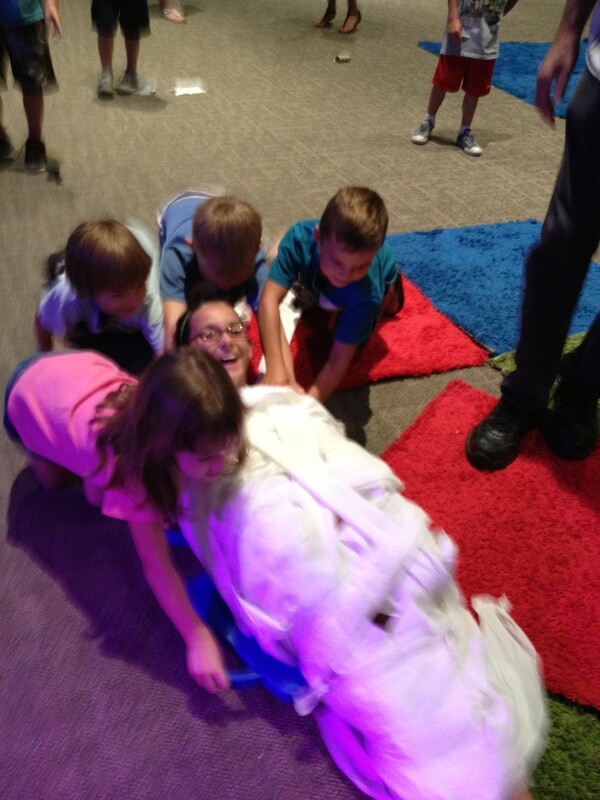 Children’s ministry matters because we do not know if the children in our ministry this weekend will be back next week. They could move away. Their parent’s work schedules could change so they may not be at church again. We have no guarantee the children we have in our church this weekend, will be back again in two weeks, two months or two years. 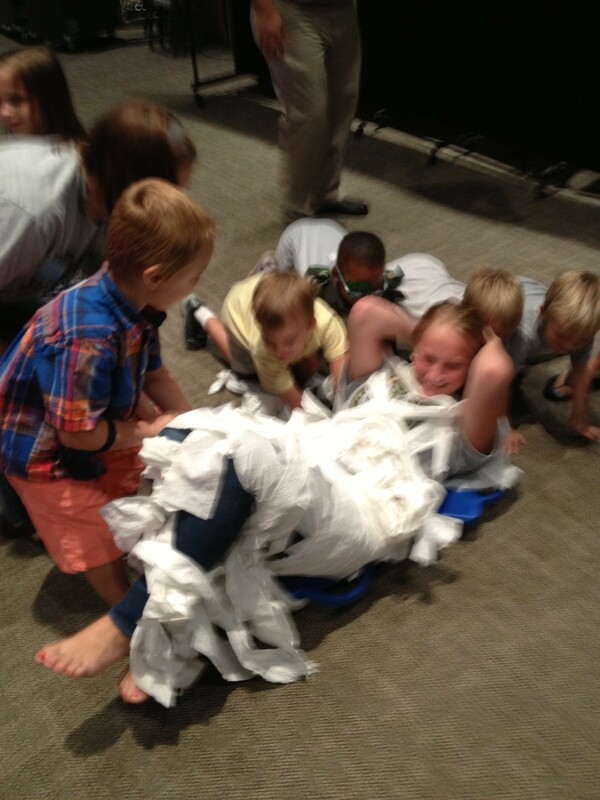 It matters TODAY what we do in our children’s ministry. What inspires you to be involved in Children’s Ministry? Reply and let me know, I LOVE to hear from you!!! 2. Let’s Celebrate! 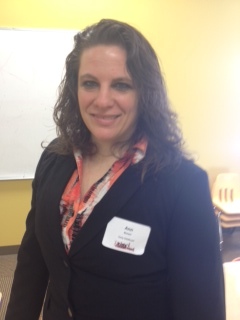 Meet our Volunteer of the Week, Ann Brown! Ann joined our team at the beginning of this year and faithfully serves every Sunday at 11:00am in our blue room with the 3s. She’s always willing to lend a hand and has a servant’s heart. 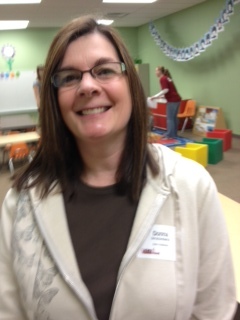 Ann recently stepped up to the plate and also helps lead the children in large group worship. Ann’s love and compassion is evident to all who are around her and she sets a great example for others to follow. We are thrilled to have her on our team. Thank you, Ann, the best is yet to come! 3. Summer Dress Attire – Of course we are very casual at Parkview. We do want to be careful in our attire though due to the nature of how we are frequently bending over, getting down on the floor, picking things up, etc… The best thing to wear when you serve are pants and your kidz connection t-shirt. If you don’t have a kidz connection t-shirt, please make sure your shirt is high enough to keep you modest. Some clothes to stay away from are short shorts, dresses/skirts, spaghetti strap shirts and high heels. 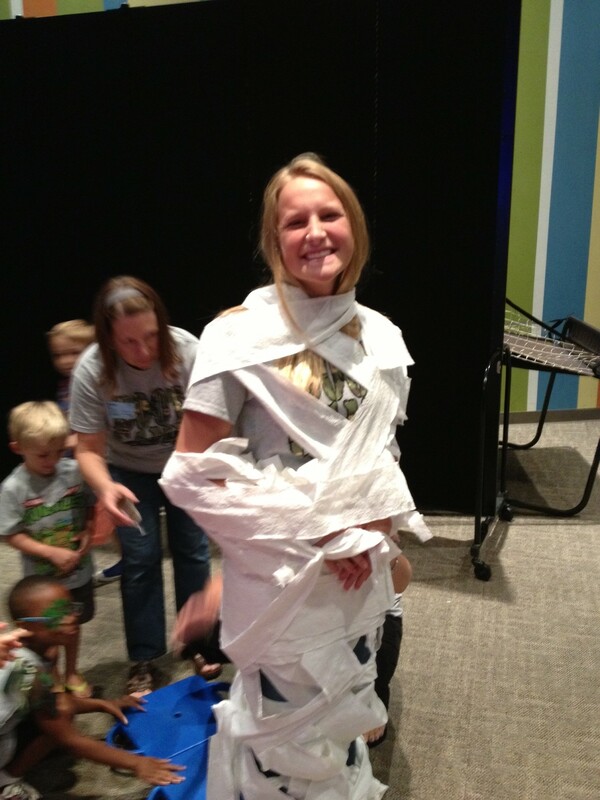 If you haven’t had a chance to see our awesome new Parkview Kids Training Video click here. Please help us continue to spread the word about our new and FREE resource for parents www.parkviewparents.com ! Learn, worship and grow as a family available for all families with children birth – High School. Parents can find the videos and music that we use every weekend at this site as well. Awesome!!! THANK YOU for being a part of what God is doing at Parkview. May you learn to rest in His care, trust in His Word, and embrace a joy-filled life. I look forward to seeing YOU soon. This week our Volunteer of the Week is sisters, Sydney and Peyton Whalen! 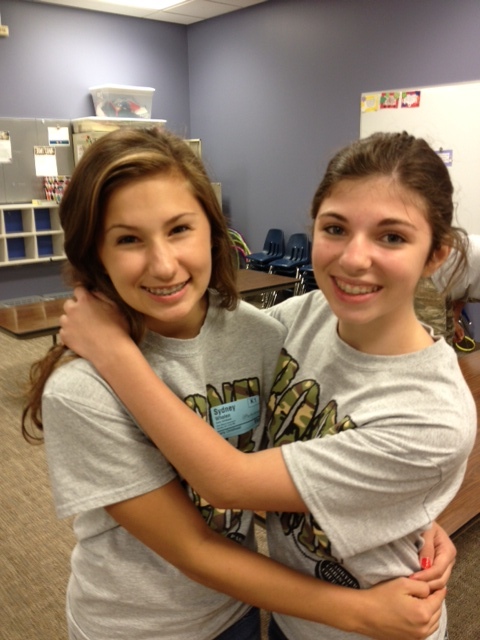 Sydney and Peyton serve every Sunday night in Clubhouse B. They joined our team in February when we launched the new 5:45pm Sunday service. They always go above and beyond and their energy is contagious. They also have brought more friends on board to help grow our team. Thank you Sydney and Peyton, the best is yet to come! Our annual team training event is tomorrow, Thursday, September 5th 6:30-8:30pm. It’s not too late to join us! Click here to RSVP TODAY. Childcare is free and desserts and refreshments will be served. Lisa and I are super excited to join forces with YOU tomorrow night! Friendly reminder we are back to TWO Saturday services starting this weekend, September 7th. I look forward to seeing YOU soon! 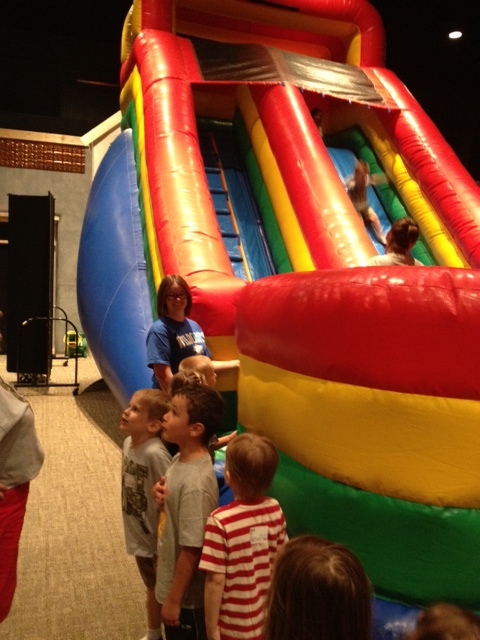 VBS Feedback, Volunteer of the Week & Lower Your Blood Pressure? We’ll be getting ready to go back to TWO Saturday services starting September 7th. We are in need of more team members as we continue to grow and kick off the fall season. Please reach out to your friends and family and ask if they would like to try out Kidz Connection. Here’s one of many reasons why people should volunteer…it’s good for your health! Did you know volunteering can lower your blood pressure? I thought you might be interested in seeing this. Click here. 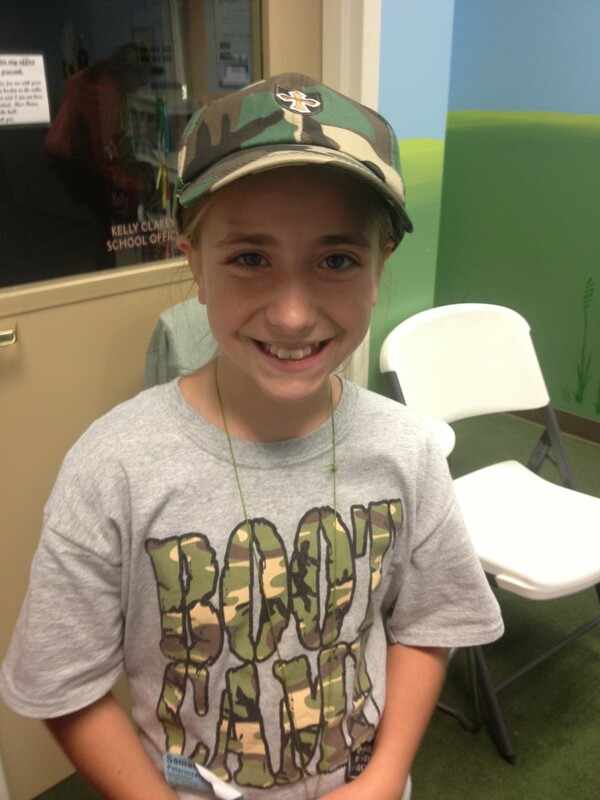 Meet our Volunteer of the Week – Sammie Peteroccelli! Sammie is a part of our Early Childhood Large Group Worship Team. She has been helping lead worship at all of our services every weekend for over a year. 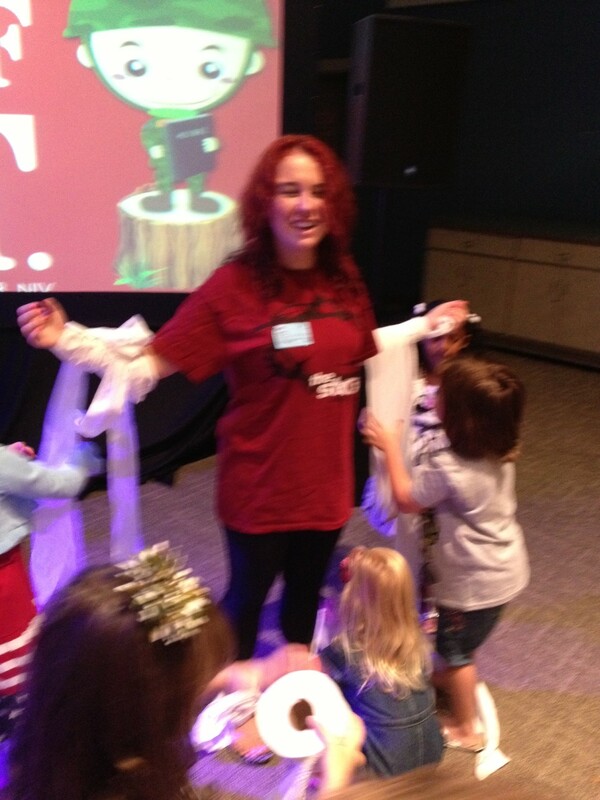 She is amazing at capturing the children’s attention and teaching them new songs every weekend. She is dedicated, energetic and sets a great example for others. Thank you, Sammie, the best is yet to come! The countdown begins…29 days til our annual Team Training Event, Thursday, September 5th 6:30pm-8:30pm. Childcare will be available. Please mark your calendar, more details will follow soon. stay tuned…. Thank you for your allowing HIM to shine brightly through you and doing everything within your power to use your gifts, talents and abilities. We need you! Let’s celebrate! Meet our Volunteer of the Week, John Creedon. John started serving in September with his wife, Lorie and daughter, Erin. He jumped right in! John serves every other Sunday at 9am in the Green Room. 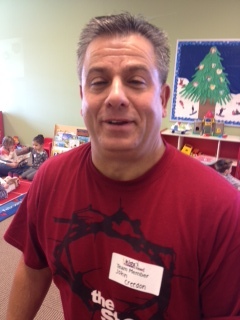 John loves to individually welcome each child and make them feel special. He recently became a Team Leader and leads Large Group Worship. John is a great leader! Thank you, John, the best is yet to come! Please help me lift up Karen Navarro-Villafane in prayer this week. She serves in Early Childhood with her husband, Pedro, every other Saturday at 3:45pm. This weekend Karen will give her testimony live at each service! We have NINE Easter services at the end of the month. If you are not already serving and can lend a hand we would GREATLY appreciate it. We need at least one team member in each room and then we’ll have Easter peeps assisting. There will be no large group teaching outside the classrooms. Lisa will have a TV and everything you need prepared for inside the rooms just like we did for Christmas. There will be a bulletin insert this weekend asking people to sign up to serve for an Easter service. DO NOT use this form to sign up for an Easter service, they are only for non-volunteers. Please contact me directly or use better yet use the online scheduler. Let me know if you need your log in information. Thanks! Check out this wonderful email from Tracy. Her daughter is three years old. Everything you do in the classrooms is making a difference, way to go TEAM!!!!! More RECORD-BREAKING NEWS! This JUST in from the weekend… We had the most ever kids for a weekend at Orland – 1,077 AND the most kids yet for Sunday night service – 239 AND….the 5th consecutive week of attendance increase – which was: 887, 982, 1006, 1046, 1077. 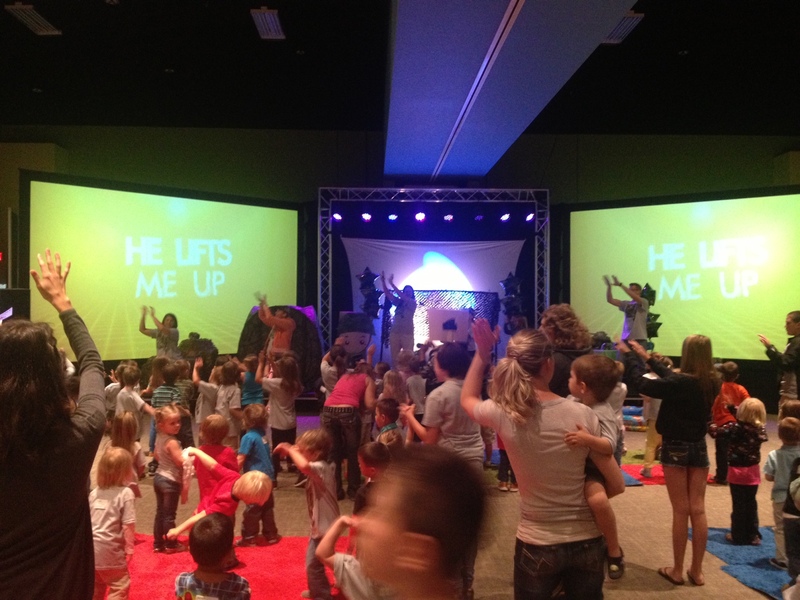 GREAT JOB TEAM, let’s keep praying God’s little ones to come hear and see His AMAZING love. THIS JUST IN!!! Here’s an email from a parent to our Children’s Ministry Director, Laurie Kamp, that I had to share….Way to go Early Childhood Team!!! YOU are making a difference!!! !